In 1973 he was born in Japan. In 1996 he graduated from The Osaka College of Music. Moscow Conservatory (under G. Rozdestvensky and L. Nikolaev). G.Zhemchoujin) and Bolshoi Theatre (under F. Mansurov). 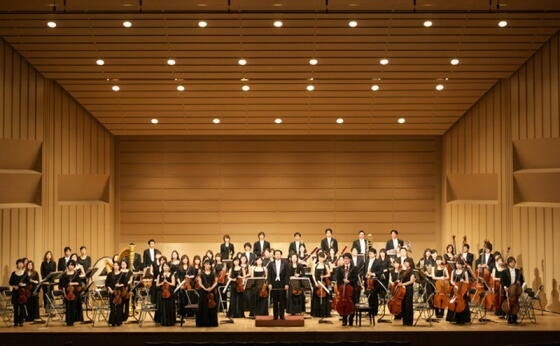 (Bulgaria), the Jeon-Ju City Symphony Orchestra (Korea). Poulenc 2 Marches et un Intermede for Small Orch. Ravel Suite"Le tombeau de Couperin"
Borodin # Overture from the Opera"Prince Igor"
J.S. Bach Concerto for Two Violins with Orch. Hendell Concereto for harp and Orch. Hovhaness Concerto No.3 «Diran"for Bariton and String Orch. Larsson Concerto for Alt-Sax and String Orch. Mendelsshonn Concerto for Piano and Orch. No.1, Concerto for Vln and Orch. Rimsky-Korsakov Concert-Fantasy on Russian Thema for Vl. and Orch. Tchaikovsky # Rokoko-Variation for Vc and Orch. Weber Concerto for Piano and Orch. No.1 Concertino for Fg and Orch. Riisager Little Overture for Srting Orch. Boris Tchaikovsky # Symphonietta for String Orch.